Van Gogh came to Britain at the age of 20. He worked as an art dealer and was transferred by his employer to London for business. He spent three years in the city, walking its streets, crossing its bridges and gaining inspiration from the surroundings. His time in Britain was a life-changing experience, influencing the art he would begin making four years later. Here are seven things to know about Van Gogh's time in Britain. He worked in Covent Garden as a dealer in art photography and prints. He lived in South London, first in Brixton and then in Oval. London was twenty times the size of any town that Van Gogh had known. He enjoyed walking its streets, taking his usual route over Westminster Bridge for a scenic commute to work. Later he would write to his brother, fondly remembering these walks over Westminster Bridge. Van Gogh thought Gustave Doré's The Houses of Parliament by Night captured the magic of London. In Starry Night Over the Rhone 1888 he would seek to replicate the spectacle of a city river at night. 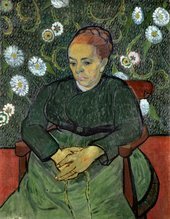 Art had been present throughout Van Gogh’s life and career as an art dealer. In London, he enjoyed visits to the Royal Academy to view favourites like John Constable and the Pre-Raphaelite painters. Later, Van Gogh would use English titles for some of his works, hoping that they would sell well in Britain. In many of his letters to his brother Theo, Van Gogh speaks about his love for art and London's galleries. At this time, he lacked confidence in his own talent. From the way he spoke about the artists whose work was being exhibited in London, it is clear they inspired him immensely. 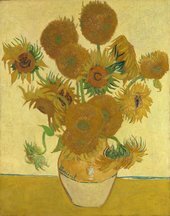 Many British artists have been influenced by Van Gogh and ensured he left a legacy in Britain. Harold Gilman was one of these champions. 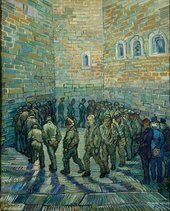 Gilman applied van Gogh’s use of bold colours and expressive brushwork to English motifs. 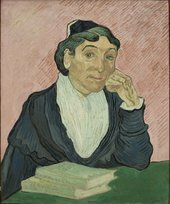 A reproduction of Van Gogh’s portrait would hang in his studio that Gilman would salute. He would hang his paintings next to those of Van Gogh’s. 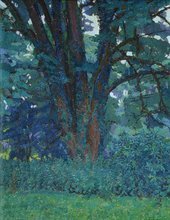 The influence can be seen if you compare Gilman’s In Gloucestershire with Van Gogh’s Horse Chestnut Tree in Blossom. 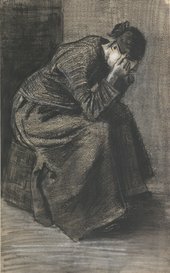 Even later, Francis Bacon and his peers would position Van Gogh as a painter of hope after the destruction of the Second World War. 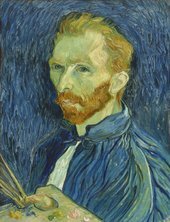 Bacon would go on to paint a study of Van Gogh, based on one of Van Gogh's self-portraits. 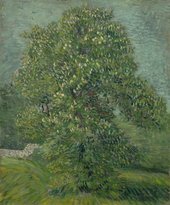 Van Gogh inspired a movement of British expressionist realism. 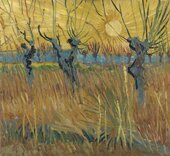 Bacon’s artistic growth from earthy pictures to a more vivid, mature style, echo the works of Van Gogh.